(I left my tripod at home on Day 143 – can’t recall how anymore). 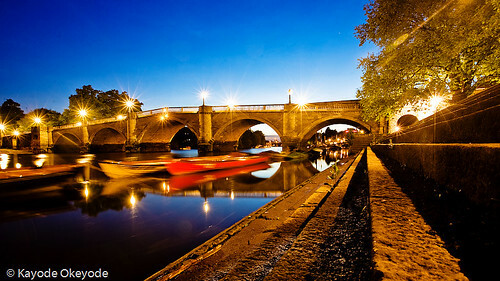 Richmond Bridge is a bridge that crosses the River Thames at Richmond in southwest London, England. It was built to the designs of James Paine in 1777 to replace an earlier ferry crossing and was a toll bridge until 1859. It was widened in 1937–39. 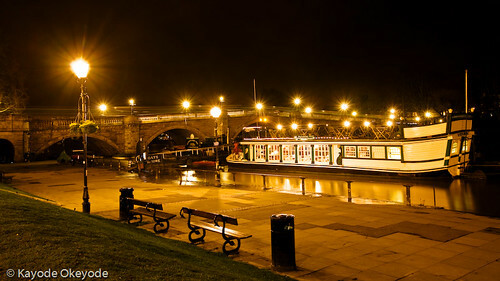 The bridge connects Richmond town centre on the south bank with its neighbouring district of East Twickenham on the north bank; both areas being within the London Borough of Richmond upon Thames, the only London borough spanning both sides of the Thames. As the river deviates from its general east-west direction to form an "S-bend" in this part of London, here what would otherwise be known as the north and south banks are often referred to as the "Middlesex" and "Surrey" banks, respectively, named after the historic counties to which each side once belonged. I’ve seen this boat on my visits to Richmond on Fridays but this is the first time I’ve had a chance to get a half decent shot of it in the last two years. 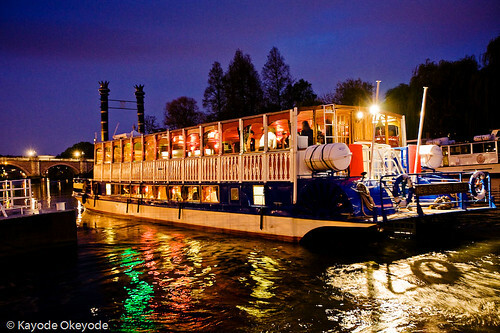 The boat is called "New Southern Belle"; it is a Mississipi-style stern wheeler bringing a flavour of the old New Orleans to the River Thames. It is half empty in this shot but it usually full of party revellers at this time. I think it is a pub that docks periodically to pick up more punters but I am not really sure. Richmond Bridge is in the background and there is another pier shortly after the bridge where it picks up more punters as well. This wasn’t the shot I set out to shoot for Day 13 but the Thames was at High Tide and the Thames Path towards Richmond Lock was flooded so I had to settle for Richmond Bridge. This is my picture-a-day project. There can be a series of pictures posted in one day but the only rule is that there must be a least one picture shot on the day it is assigned for.